Faro, Yukon – Recovery operations took place at Drury Lake on February 2 and 3, 2019, despite the extreme cold and challenges related to keeping specialized equipment warm and operational. 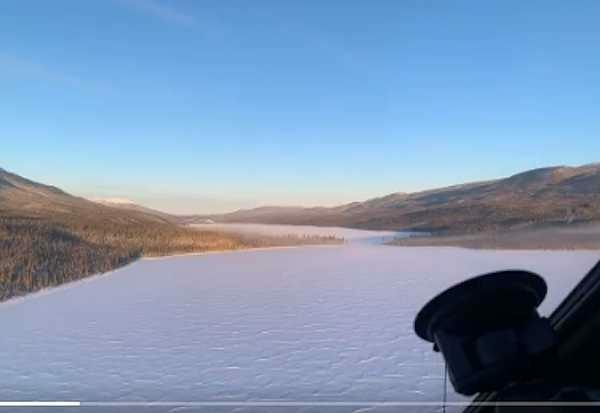 After many hours out on the lake, the body of the Alberta man who was presumed drowned on January 28 was recovered from the water, along with the two submerged snowmobiles. The Yukon RCMP wishes to acknowledge the many units, employees and support services that came together to ensure that these operations could be conducted successfully and safely. These types of operations are very specialized and require a significant amount of planning and coordination. Considering the remote Yukon wilderness location, the time of year, weather and the unstable ice conditions, it was even more important to ensure that officers had all the right equipment, tools and resources with them. Many thanks to our dedicated team of responding Yukon RCMP officers, as well as the BC RCMP Underwater Recovery Team and Yukon Search and Rescue, BC RCMP Air Services, Yukon RCMP Air Services, and the many other support units that worked behind-the-scenes to ensure the safety of everyone involved. The Yukon Coroner’s Service is now leading this investigation, with continued assistance from the RCMP and the Yukon Workers’ Compensation Health and Safety Board. The RCMP joins the Yukon Coroner’s Service in extending its condolences to the family and friends of Mr. Jason Donald Keith of Morinville, Alberta.